Donald Leighton, a Falmouth native who is a landscape architect now living and working in Rhode Island, told a landscape design class I attended earlier this year that his new favorite garden-related book is “The Nature Fix: Why Nature Makes Us Happier, Healthier and More Creative” by Florence Williams. I knew I had to check it out. The book is more science than plants, and that science is more social than botanical, but it is a fascinating testament to how contact with plants helps people improve their lives. Williams travels to Utah, Japan, Korea, Scotland, Finland, the Salmon River Gorge in Idaho and a West Virginia school to study how spending time with plants – whether in pocket parks in a city or in the remote wilderness – helps stressed-out urban workers, recently released mental patients, female veterans suffering from post-traumatic stress syndrome, and ADHD students get healthier. While some of Williams’ conclusions are based on subjects’ answers to questions, a lot of her research involves measurements of brain waves or the flow of blood to parts of the brain. Different studies she cites show that: merely having plants visible outside an office or hospital room improves creativity and health; spending five hours a week in parks, gardens or nature increases happiness and lowers blood pressure; being outside three hours a week for 12 weeks helps mental patients recover faster; and veterans who take extended, intensive wilderness trips have 40 percent fewer flashbacks. As part of her research, Williams wore a portable EEG (electroencephalogram brain wave-measuring) device on her head, and the only place she reached the calm alert state praised by Zen masters was while visiting her stepmother in Maine and kayaking on a small lake next to the White Mountain National Forest. It is nice to know she appreciates our state. 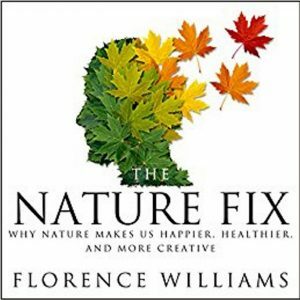 “The Nature Fix” by Florence Williams, Norton, 280 pages, $26.95. Because Whitman gardens in Minnesota, the book is geared to cold-weather conditions, like those we enjoy/endure in Maine. The text is comprehensive, logically organized and well written. The first 120 pages cover general information about gardening, including much factual detail, coupled with some opinions – although Whitman does not insist that you follow his opinion. As an example: “In general, pick vegetables that mature above ground late in the day, and those that mature below ground early in the day. Compare taste and texture for yourself and see whether you agree.” I’ve always harvested vegetables just before we need them. I’ll have to give Whitman’s theory a test next year. Part II, the next 320 pages, focuses on specific vegetables in alphabetical order. I am glad I read it when I did. He advises waiting until asparagus stalks turn brown before cutting them down, and by the time I read that, I had cut about a quarter of our still green stalks, as I didn’t want them to trap windblown autumn leaves; I will wait for the remaining stalks to brown before I clean them up. “Fresh from the Garden” offers six pages on carrots, a characteristic entry, with subsections on how carrots grow, where to plant them, soil and moisture, spacing, when to plant, watering, mulching, fertilizing, weeding, thinning, problems, harvesting and storing – and ways to eat them, too. It then lists five basic types of carrots – baby or mini, Chantenay, Danvers, Imperator and Nantes – followed by a detailed listing of 50 varieties. Other vegetables, herbs and berries get similar treatment, and I can’t see anyone needing more information than that. It’s the perfect gift for the fanatical vegetable grower in your life. 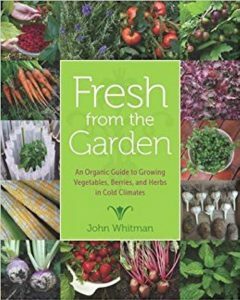 “Fresh from the Garden” by John Whitman, University of Minnesota Press, 544 pages, $49.95. 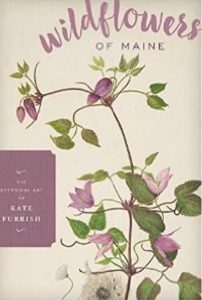 “Wildflowers of Maine: The Botanical Art of Kate Furbish,” which includes a biographical essay by Melissa Dow Cullina, is a little gem of a book – much smaller than a typical coffee-table book but something you want to keep handy for when you need a visual pick-me-up. Furbish, who lived in Brunswick most of her life (1834 to 1931), was a noted botanist and painter who helped found the Josselyn Botanical Society of Maine and had articles published by The New England Botanical Club, even though that organization excluded women members at that time. Cullina’s essay includes descriptions of Furbish’s plant-hunting trips throughout Maine, as well as the highlights of her life. The bulk of the book is reproductions of a small selection of Furbish’s “detailed and precisely rendered illustrations,” as Cullina puts it, courtesy of Bowdoin College’s collection of more than 1,000, as well as maps that show where Furbish encountered the plants. “Wildflowers of Maine,” illustrated by Kate Furbish, Down East Books, 127 pages, $15.95. “Whitewash: The Story of a Weed Killer, Cancer and the Corruption of Science,” by a former senior correspondent for Reuters, lays out a comprehensive case against Roundup, the herbicide that has taken over much of commercial farming since the introduction of Roundup-resistant crops. 4. Despite claims that glysophate would not show up in food, it has – in bagels, honey and elsewhere. Yes, Gillam has a slant. But she backs it up with solid information. 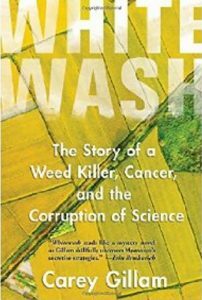 “Whitewash: The Story of a Weed Killer, Cancer and the Corruption of Science,” by Carey Gillam, Island Press, 272 pages, $30. 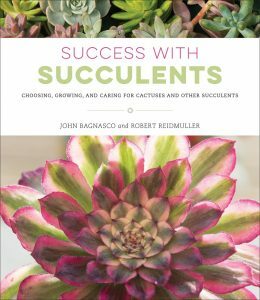 • “Success with Succulents: Choosing, growing and caring for cactuses and other succulents,” by John Bagnasco and Bob Reidmuller, Cool Springs Press, 192 pages, $24.95. The book, filled with beautiful photographs, explains the various families of succulents, discusses how cacti and other succulents differ and gives information on growing them. Although Maine is too cold to grow most succulents outside, “Success with Succulents” lists the few that can survive outside here and gives good advice on how to grow the others inside. 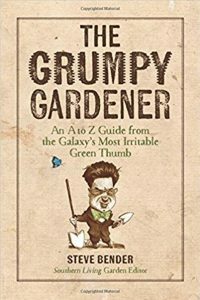 • “The Grumpy Gardener,” by Steve Bender, Southern Living garden editor, Oxmoor House, 256 pages, $24.99. Bender originally published the humorous essays that make up this collection in Southern Gardener magazine. His 50 rules are a highlight. Rule 33, for instance: “It is easy to stop dogs from eating up your flowers. Get rid of one or the other.” One note of caution: since the articles were written for a Southern audience, many of the plants he covers won’t grow in Maine. But that doesn’t mean it’s not a fun read. 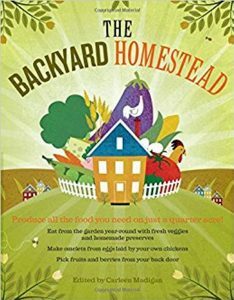 • “The Backyard Homestead Seasonal Planner,” by Ann Larkin Hansen, Storey Publishing, 208 pages, $18.95. This book is a working journal for gardeners who do everything, made evident by wide-ranging sections that cover garden, field, pasture, orchard, beeyard, barn, coop, equipment shed, woodlot and wildlife habitat. Put together with an O-wire binder, the planner has room for the reader to write notes, and it offers plenty of good advice. Hansen uses air and soil temperature and how grasses grow as ways to determine when to do particular garden chores. 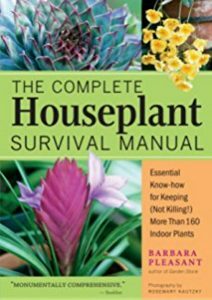 • “Houseplants: The complete guide to choosing, growing and caring for indoor plants,” by Lisa Eldred Steinkopf, Cool Springs Press, 272 pages, $30. 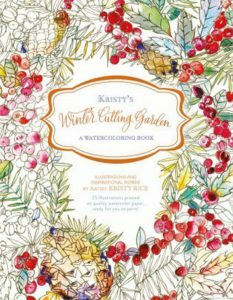 • “Kristy’s Winter Cutting Garden: A Watercoloring Book” and “Kristy’s Fall Cutting Garden: A Watercoloring Book,” by Kristy Rice, $19.99 each. Is there a plant lover on your list who has an artistic bent? Each of these books includes 25 illustrations printed on good-quality watercolor paper ready for you to pick up a brush and paint. Each illustration is like a tracing, with an outline of items to be painted. They’re cousins to paint-by-numbers, but in this instance the painter gets to choose the colors. The books, two in a four-part series, also provide watercolor-painting tips and advice on how to do each illustration. It’s almost as good as having an instructor on hand to help you.